Bogs, seeps, margins of spring branches. Common in NC Mountains, uncommon in Piedmont, rare in Coastal Plain. 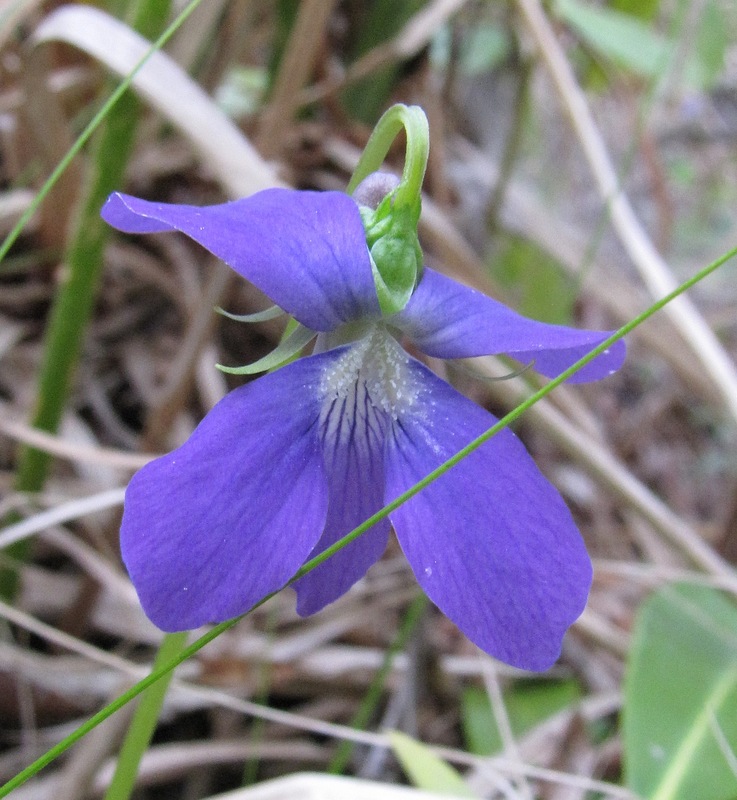 Blue Marsh Violet is very similar to the Common Blue Violet (Viola sororia) but the habitats are quite different. 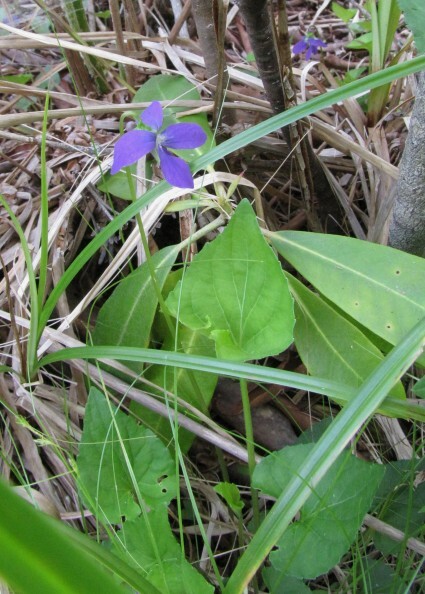 As the common name shows, Blue Marsh Violet grows in very wet soil (bogs, seeps) while the Common Blue Violet grows in bottomlands, moist woods and lawns. Marsh Blue Violet has distinctive flowers that help in identification. The two lower, outer petals have hairs that are clubbed (distinctly wider at the top.) Click to enlarge.